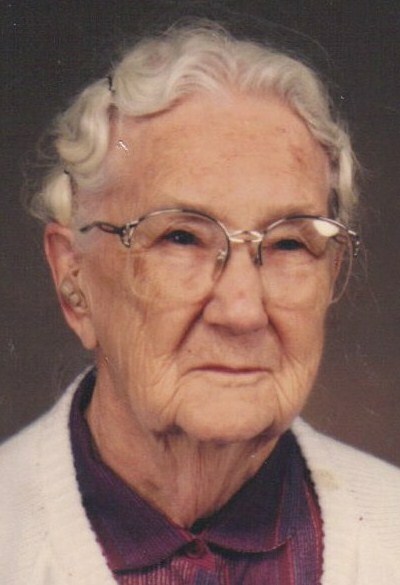 My mother-in-law, Frances Archer, lived to be 91 years of age. She died in January of 1997. Her birthday was Christmas day! We had some fun birthday parties for her. 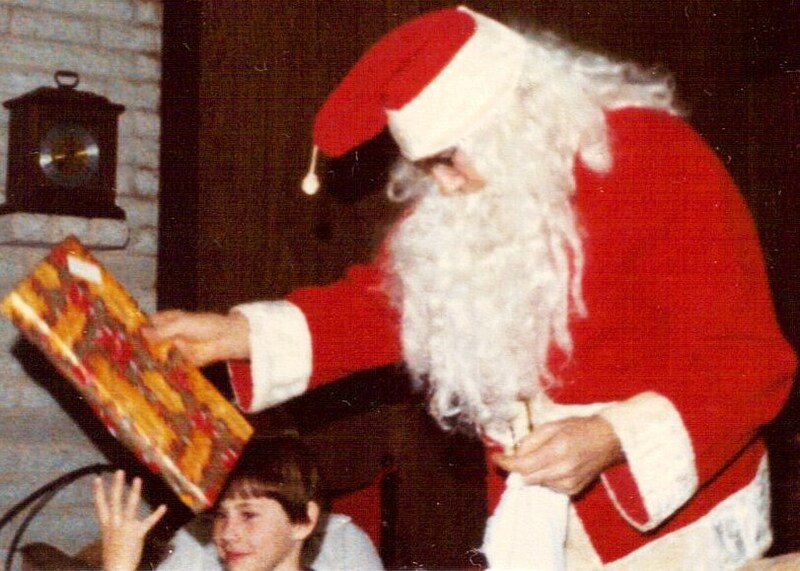 Santa Claus showed up one year with a gift for each child! The little boy in this picture is our nephew, Kurt. 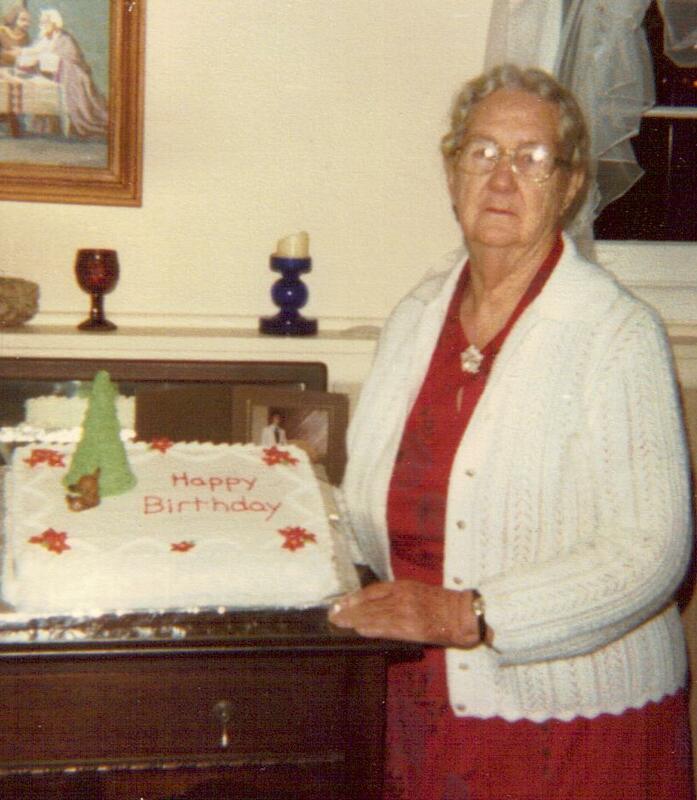 Here she is with a birthday cake. She died in January 1997. I miss her and always remember her, especially on Christmas Day. This entry was posted in Aging, Birthday, Christmas, Family, Memories, Michigan, Mother-in-law, Santa Claus and tagged Aging, Birthday, Christmas, Family, Fun, Memories, Michigan, Mother-in-law, Santa Claus. Bookmark the permalink. You are keeping up a hefty pace with a blog post a day. How nice to have sweet memories of your Christmas-present Mother-in-law.